The court erred in thinking that evidence of Kokenis's state of mind had to come from Kokenis's own testimony. See, e.g., United States v. Lindo, 18 F.3d 353, 356 (6th Cir. 1994) ("'[T]he standard of evidence necessary to warrant a [good-faith reliance] instruction cannot include an absolute requirement that the taxpayer must testify, for that would burden the taxpayer's own Fifth Amendment right against self-incrimination.'") (quoting United States v. Duncan, 850 F.2d 1104, 1115 n.9 (6th Cir. 1988)); United States v. Phillips, 217 F.2d 435, 442 (7th Cir. 1954) (noting that evidence of defendant's good-faith reliance on advice of counsel can come from the government's witnesses or the defendant's witnesses). Although a defendant's own testimony might be the best evidence of that defendant's good faith, a defendant can offer evidence of good faith in other ways. For example, circumstantial evidence may tend to show good faith and hearsay statements of the defendant may suggest a defendant's belief. Nonetheless, Kokenis was not entitled to a good-faith instruction. First, the evidence did not support this theory of good faith. Kokenis's claim that the district court wouldn't allow him to present evidence of good faith unless he testified is wrong. He simply didn't offer any evidence relevant to his good faith. The indictment for failure to file alleged that he committed the crime by failing to file the 2004 return on or before April 15, 2005. As it turns out, however, there was "strong evidence" that he had not filed for an extension on or before April 15, 2005 (as required for a valid extension) but, on August 12, 2005, had applied for an extension which, if granted, arguably would have extended the filing date until October 15, 2005. There was some argument about the meaning of these events that, but I address it below. In denying the motion to withdraw the plea, the Court has a good and reasonably succinct discussion of the tensions between the defendant and her counsel who were Federal Public Defenders.Keep in mind that, because of the criminal tax system's fairly rigid process for weeding out bad criminal cases, the cases that result in indictment are usually very good. As a result, a very high percentage of those cases plead because of the incentives (such as acceptance of responsibility). This means that the process exemplified in this case is a frequent occurrence in a criminal tax practice. There are good lessons here that can be vicariously learned. For those reading the opinion, I offer it just as it came from PACER. The full file is 33 pages, but the opinion itself is 11 pages. I recommend that you read only the opinion. The Indictment alleges that Ronald Weinland, 62, attempted to evade taxes in the amount of $357,065 over a period of five years starting in 2005. Robert Weinland’s alleged acts of evasion included filing tax returns, understating his gross income, using church funds for personal expenses and failing to claim those funds as income on his income tax returns, and failing to report the existence of a bank account in Switzerland. He also allegedly failed to report any interest made on that account as income. In a recent non-precedential decision, United States v. Crim, 2011 U.S. App. LEXIS 22891 (3d Cir. 2011), here, the Third Circuit addressed some issues that might be of interest to readers of this blog. The opinion covers the background cryptically because the opinion is addressed "primarily for the parties" who already know the background. Basically, the defendants marketed offshore trust schemes intended to fraudulently evade U.S. tax for the clients entering the schemes. The defendants were charged with several of the various tax crimes that the Government can trot out for such schemes. In the balance of this blog, I address only matters that I think of particular interest to readers. 1. The defendants were charged with a Klein conspiracy (the ubiquitous count one for many tax indictments) and at least one of them (one Crim) was charged with tax obstruction under section 7212(a). Crim did not contest his conviction for conspiracy but did contest the conviction for tax obstruction. As I have previously noted in this blog, the two crimes have essentially the same key features, so the Third Circuit rejected the attack on the tax perjury conviction, noting that Crim's "recognition that the evidence was sufficient to prove that CTC was an illegal conspiracy to promote tax evasion more than establishes Crim's state of mind for the first element of a Section 7212(a) violation." For prior discussions of the overlap between a Klein conspiracy and section 7212(a), see my prior blog, Tax Obstruction Crimes -- Section 7212 and Klein Conspiracy (5/26/11), here, and see also my larger, longer article, John A. Townsend, Is Making the IRS's Job Harder Enough?, 9 Hous. & Bus. Tax L.J. 260 (2009), here. I write today on what I think is a significant new case, United States v. Tilga, 824 F. Supp. 2d 1295 133725 (D. N.M. 2011), here (for full opinion) and here (for excerpts including only the topic of this blog). The case deals with calculating the tax loss for sentencing purposes. The tax loss is the principal driver for Sentencing Guidelines calculations even if not controlling under Booker. The bottom-line in the case is that, for tax loss purposes, the defendant was entitled to accrue a foreign tax credit that she had neither claimed on the original return and, in the final analysis, did not pay. I think the way the court reached that conclusion has implications on the issue of the required tax due and owing element for the crime of tax evasion. Let me just say that the decision is rich in various facets of its holding and analysis. 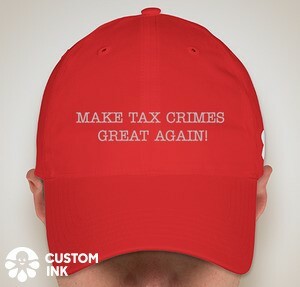 By way of background to the main issues discussed here, I provide the pertinent discussion from my Federal Tax Crimes book, here. The substantive issue relates to the Code's prescription that a taxpayer can elect to claim a foreign tax credit on an accrual basis even if the foreign tax has not been paid. The construct is that, if the election is made, there is an actual reduction in the tax owing for the year. (This is unlike the net operating loss deduction which may be carried back to an earlier year, reducing the tax otherwise due for the year; rather, the foreign tax credit is a direct credit that “relates back” retroactively to the earlier year in which the income was earned to reduce the tax liability for the year.) To use a simple example, say that the same quantum of income is subject to both U.S. tax and to foreign country X tax and both have the same effective rate. If, for any reason, the foreign country X tax is subject to a U.S. foreign tax credit, the tax will (more precisely, should) be paid to the foreign country and the U.S. foreign tax credit will eliminate the U.S. tax otherwise due. The foreign tax credit permits the taxpayer to elect to claim the foreign tax credit even in advance of it being paid. I recently blogged on the sentencing factor love fest between the prosecutors and one Renzo Gadola, a UBS representative. OK, Mr. Prosecutor, Why Are You Punting on the Relevant Conduct? (11/11/11), here. The context was the Government's sentencing memorandum. Now it appears that the lock step approach -- Gadola wanting the best for Gadola and the prosecutors wanting the best for Gadola -- worked. Of course, Gadola had to sing for these benefits. His U.S. clients should be concerned, but those U.S. clients, if well advised, should have entered the program when he was first snagged and before he started to talk. Perhaps Gadola's example could encourage other enablers to come forward with hopes of similar treatment or no indictment at all. Kind of like a sub rosa voluntary disclosure program for enablers. Prosecutors suggested a sentence of five months behind bars, but they also did not oppose the probation term that was handed down. Ashvin Desai of San Diego has been indicted various counts related to offshore accounts. The DOJ Tax press release is here; the indictment is here. Lothar Hoess has plead to a single count of FBAR violation. The plea agreement is here, and the information is here. Maximum incarceration period: 60 months. FBAR Penalty: $1,372,774 (50% of the indicated highest balance). The US Internal Revenue Service (IRS) recently submitted a request for administrative assistance to the Swiss Federal Tax Administration (SFTA) pursuant to the 1996 double tax treaty between Switzerland and the USA, seeking information with regards to accounts of domiciliary companies belonging to certain US persons as beneficial owners (the Treaty Request). In connection with the IRS Treaty Request, the SFTA has issued an order directing Clariden Leu AG to submit responsive account information to the SFTA. Presumably the parameters for the treaty request are the same as for Credit Suisse, previously discussed in my blog The Swiss Government Begins Disclosing Credit Suisse Accounts to IRS (11/8/11), here. Just a reminder: The Credit Suisse and Clairiden Leu announcements are just the beginning phases of post-UBS disclosures that the IRS will obtain. Long ago on this blog, I sounded the theme of "Get in Line Brother," from a famous bluegrass song which I used to encourage U.S. persons with offshore accounts, particularly Swiss accounts, should get right with the IRS. The advice is still good, although the precise method for getting in line might, depending upon the circumstances, not require a voluntary disclosure under the post-OVDI 2011. Talk to your attorney. Renzo Gadola, a UBS representative servicing U.S. customers, pled to "conspiring to urge one U.S. taxpayer not to disclose his secret Swiss bank account to the IRS." See my posts on Gadola here. I post a copy of the prosecutors' sentencing memorandum here. I only make one general comment -- the prosecutors are really helping Gadola get the lightest sentence possible. Readers can read the Sentencing Memoranda and perceive that it is a bit of a love fest between the prosecutors and Gadola. Pursuant to U.S.S.G. $ 181.8, the government has the obligation to inform the Court of loss suffered by the government from the defendant's uncharged conduct, even though the loss cannot be used in determining the advisory Guidelines sentence. As part of the IRS's Offshore Voluntary Disclosure Initiative, twelve (12) U.S. customers disclosed to the Service their secret Swiss bank accounts that they used to conceal their assets and income and evade their taxes and that the defendant was one of the bankers who assisted them in their efforts. These taxpayers estimated that, collectively, they had undeclared assets valued at not less than $18 million and not more than $46 million. n2 The taxpayers estimated that their collective unreported income was at least $2 million. n2 Further, records produced by UBS pursuant to the Deferred Prosecution Agreement indicated that the defendant managed undeclared accounts for Robert Greeley a U.S. taxpayer residing in San Francisco, Califomia, that, as of December 31, 2004, had assets in excess of $ 13.7 million. Greeley pleaded guilty to filing a false tax retum for tax year 2008, in violation of 26 U.S.C. $ 7206(l), which failed to report $49,770 in income from his undeclared accounts. United States v. Robert Greelev, 3:1 1-cr-00374-CRB (N.D. CA). on November 9,2011, Greeley was sentenced to: 6 months home confinement; 3 years probation; a $3,000 criminal fine; $16,869 in restitution payable to the IRS (which has already been paid); and $6,861,930 for a civil FBAR penalty (which has already been paid). Sentence: 1 year and 1 day. FBAR Penalty: $3,844,129 (apparently based on 50% of the indicated highest balance). Recall that the good credit (18 USC 3624(b), here), which is available for sentences greater than 1 year (hence one year and one day is a sentence imposed to allow the good time credit). I will update the spreadsheet later today. I offer here a new article which I think readers might find quite helpful. Walter H. Boss and William M. Sharp, Sr., The Swiss-U.S. ‘Turnover’ Ground Rules: A Technical Update, 64 Tax Notes International 423 (11/7/2011), here. 1. The article contains a very good short history of the saga involving the Swiss bank accounts. 2. Under the double tax treaty, Switzerland commits to provide information on the U.S.'s request for "tax fraud or the like." Tax fraud for this purpose does not include tax evasion which the Swiss view as a lesser evil than tax fraud. (Tax fraud is really bad rather than just bad.) In this regard, there is a bit of a semantic difference. In the U.S., we generally equate tax fraud and tax evasion, whereas the Swiss make a distinction between tax fraud and tax evasion. Indeed, it seems (see below), tax evasion may be merely failure to report the income and pay the resulting tax. The U.S. Reporter on the Swiss bank beat, Lynnley Browning, reports that Credit Suisse has begun notifying "U.S. clients suspected of offshore tax evasion that it intends to turn over their names to the Internal Revenue Service." Lynnley Browning, Exclusive: Credit Suisse will disclose names of U.S. clients (Reuters 11/7/11), here. The Swiss Government has somehow found an accommodation under the exchange of information provision of the U.S. - Swiss double tax treaty (similar to the accommodation made for UBS and, I project, similar to the accommodation that will be made for other Swiss banks). Credit Suisse sent a letter to Credit Suisse account holders that the reporter claims to have seen. According to the reporter's quote from the letter, "The I.R.S. is seeking information with regard to accounts of certain U.S. persons owned through a domiciliary company (as beneficial owners) that have been maintained with Credit Suisse AG." Also, the SFTA Order under the treaty "is immediately executable and Credit Suisse as an information holder has no right to appeal." The IRS had added IRM 8.11.6 (11/1/11), here, for Appeals Procedures regarding the FBAR penalties. 1. FBAR penalties are an Appeals Coordinated Issue (Category of Case) and require a referral to International prior to holding the first conference. International issue guidelines are available from the Appeals International Specialist Coordinator(ISC). 2. Appeals requires 180 days remaining on the assessment statute of limitations at the time the administrative file is received. 3. Post assessment cases can go to Appeals. 4. The statute of limitations for failure to file is: "6 years from the due date of the FBAR report (Due date is 06/30/yyyy)." 6. Here is an example of the required records statute: An examiner requested the records on March 1, 2008. The assessment statute of limitations for failing to maintain required records expires on March 1, 2014. 7. If both types of violations have occurred (failure to file the FBAR and failure to maintain the records), examiners can assert both the failure-to-file an FBAR report penalty and failure to maintain required records penalty on the same account for the same period. However, Compliance policy in IRM 4.26.16.4.7 allows examiners discretion over whether to assert multiple violations against one FBAR report. The IRS has posted a new FBAR form dated November 2011, here. I have not yet analyzed the form for changes, but hopefully can do so soon and add appropriate comments to this blog. In the meantime, I encourage readers to make comments regarding this new form. Lynnley Browning has a new article on this continuing saga, Exclusive: Swiss offer U.S. tax deal for all Swiss banks (Reuters 10/3/11), here. The thrust of the article is that the Swiss want an all inclusive deal covering the 11 prominently mentioned Swiss banks and as many as 355 Swiss banks by paying up to $10 billion. Presumably the deal, if accepted by the U.S. would cover civil and criminal exposure for the banks and perhaps their employees and agents. But, according to the article, the U.S. prefers to negotiatewith the individual banks, at least the 11 ildentified egregious offending banks. The article says in passing that the IRS referred the names of the 11 Swiss banks to the Justice Department. The term referral and its variants often is used to mean a criminal referral -- a referral with a recommendation for prosecution or for further grand jury investigation (perhaps the latter in this case). Also, the article says that the DOJ is conducting a civil investigation of "scores of other Swiss banks among the 355."